For many parents, a child’s sour tummy is scary dilemma. For others, it’s another day at the office. 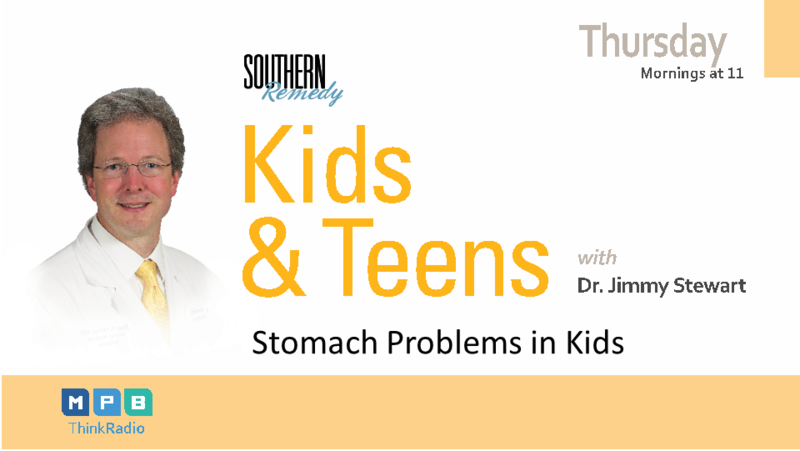 Tummy issues are common, but sometimes they can be a sign of something worse and lead to serious complications.This week on Southern Remedy Kids & Teens, Dr. Jimmy Stewart talks with you about the warning signs, and complications with everyday children’s stomach pains. Dr. Stewart takes your calls and emails on Southern Remedy Kids and Teens.